You've got your flooring material picked out, now you just need to install it. Use this first-class wood and bamboo flooring adhesive to fix that flooring in place and your installation will last for a long time. 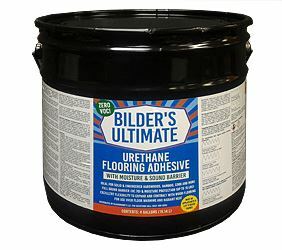 This product provides a stronger bond, giving your finished floor more durability, and the elasticity in the glue allows the floors to expand and contract naturally over the seasons. 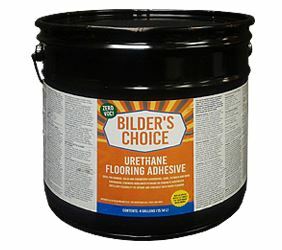 This adhesive is a perfect choice as it is low odor and has ultra low VOC content making it the safest possible glue to work with. It also has great elasticity so will allow for any expansion or contraction of the boards due to temperature, ensuring that nothing will dampen your enjoyment of your new floor. Manufacturer recommends allowing the adhesive to cure for 12-15 hours before walking on it, and 24 hours before moving heavy furniture back into place.